Estate planning services available through Kay & Andersen include the drafting of wills, trusts, and powers of attorney. We take pride in efficiently meeting the estate planning goals of our clients, which may range from the preparation of a simple will to the drafting of a revocable trust (also known as a living trust) to avoid probate and reduce the impact of estate taxes. 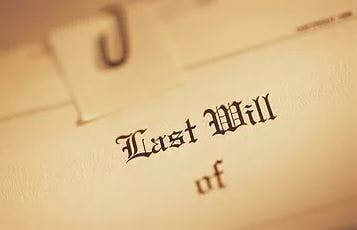 Various estate planning options are available. We assist our clients in choosing the most effective and efficient estate planning tools, which are customized to match the needs of the clients, to provide for their children, dependents and intended beneficiaries, and reduce the impact of estate taxes. We assist clients with probate and trust administration. We strive to complete probate proceedings and trust administration promptly and efficiently, without unnecessary expense. We assist our clients in reducing administration expenses and taxes, while promptly administering the estate. We would be happy to discuss with you the methods for settling the affairs of a decedent, including formal probate, informal probate, summary settlement, summary assignment and transfer by affidavit.